(Chicago, Ill.) – It may be approaching 60 degrees in Chicago this weekend, but this weather is often fleeting and unpredictable. It’s the perfect time to visit Coconutz Chicago where it’s always warm with a soft glow and the tropical drinks and cabana bites are readily accessible. Coconutz will be open to the public on Friday, December 11 at 4:00 p.m. until 3:00 a.m. on both Friday and Saturday nights, with a DJ and dancing beginning around midnight. 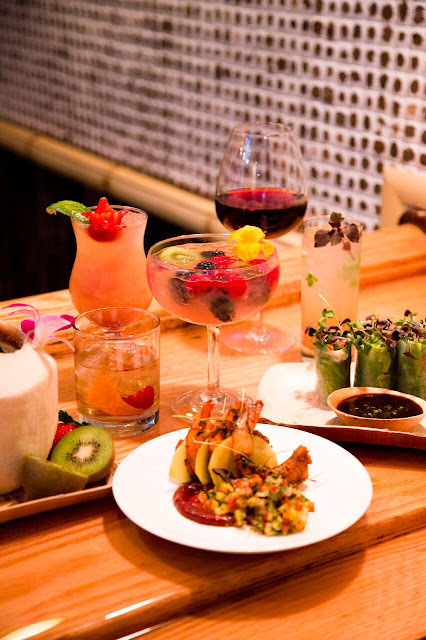 Explore the libations Coconutz will offer featuring hand-crafted cocktails utilizing fresh ingredients, house-made infusions, exotic punches, unique wine varietals, sangrias on tap, and craft beers: http://www.coconutzchicago.com/beverages/. 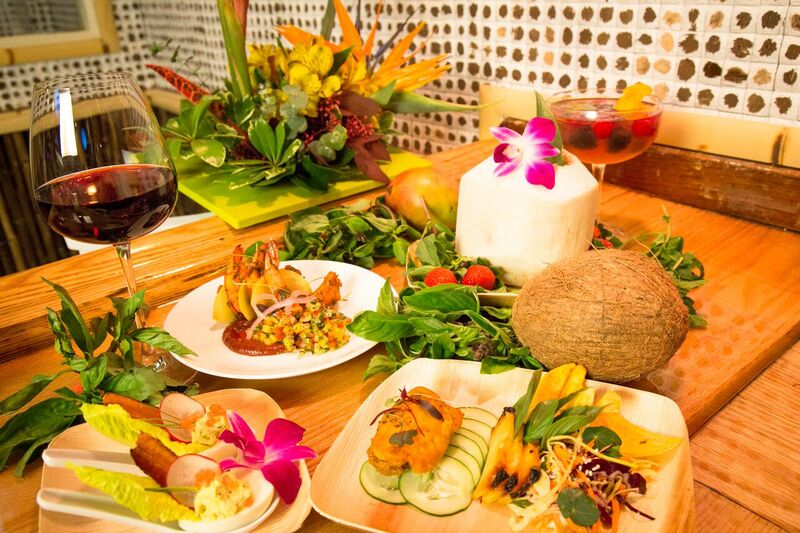 Discover the small plate Cabana Bites food menu, a celebration of island food cultures from around the world: http://www.coconutzchicago.com/menu/. The kitchen will be open daily from 4:00 p.m. until 11:00 p.m.
Coconutz will offer a daily “1-2 Punch” Happy Hour from 4:00 p.m. to 6:00 p.m.: $1 off food items, $2 off wine, and $3 off the Signature Punch, a house-made white rum punch infused with tropical fruits, herbs, and spices mixed with a blend of fresh squeezed juices served in a Thai coconut. During opening weekend, the first few hundred patrons through the door will receive a “Wish You Were Here” postcard good for 20% off a future visit. Travel to Coconutz Chicago anytime to warm up and get away from it all – it will be well worth the trip! Opening on December 11, 2015, in the Division Street Entertainment District, Coconutz Chicago will be a respite from city life where every day will be a vacation day on the Gold Coast. Serving island inspired food from Chef Sean Welker and beverages curated by General Manager and sommelier Joshua King and Beverage Director and sommelier Brendan Smith, Coconutz will be a welcome tropical oasis. Coconutz is Lodge Management Group http://rushanddivision.com property located at 13 West Division Street in Chicago, Illinois 60610. Coconutz will open daily at 4:00 p.m. and close at 11:00 p.m. Sunday through Thursday. On Friday and Saturday, Coconutz will party with a DJ and dancing at midnight until closing at 3:00 a.m. For more information, please call (312) 266-0944 or visit http://www.coconutzchicago.com, https://www.facebook.com/CoconutzChicago and https://twitter.com/coconutzchicago.